Change Tracker, a recently released freeware utility, helps translators, editors and project managers seeing what was changed in a translated bilingual file. The program works by aligning two files (or two sets of files), to compare the original translation with the edited bilingual files, showing what was changed, added or deleted between one version and the other (similar to what the Track Changes feature of MS Word does – but for bilingual files). This information can be seen in the program interface, and also exported as an Excel file. I’ve tried the program on a pair of files translated with Trados 2007, and with a set of files translated with SDL Studio. 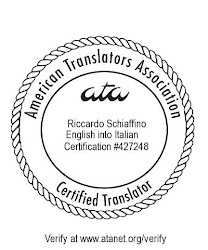 In both instances, the program worked well, producing a clear report of all changes made to the translation. This could e a very useful addition to your QA toolbox. I just discovered your blog. It is great! Thanks for taking the time and post about all this valuable tools for translators and editors! Thanks a lot for covering our software in your blog. Is there any way we can get an official coverage in ATA? I'd be happy to see more people going the productive way. Not sure what you mean for “official coverage in the ATA”, I’m just a member, there: you’ll have to speak with them. Maybe you could propose an article for the ATA Chronicle to describe your project and how your tool can be used. Thanks a lot for the advice. That's exactly what I was looking for. Looks like a good piece of software, will try it with our next translation assignment. This is useful! Protrans will def have to look into this!